If you’re in Malaysia and fancy visiting idyllic beaches for relaxation and activities, then the Perhentian Islands could be a good stop for you. Here are my tips on how to find the best value Perhentian Islands accommodation and diving for a blissful, fun and affordable trip. I stayed at Coral Bay on Pulau Perhentian Kecil – meaning Small Perhentian island. This island sits next to her big sister Pulau Perhentian Besar in the South China Sea, off Malaysia‘s North-Eastern coast. ‘Perhentian’ means ‘stopping point’ in Malay, referring to the islands’ historically useful positioning for traders operating between Thailand and Malaysia. 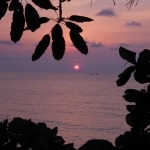 The best time to visit the Perhentian Islands is from March to October. The islands have received glowing reviews on Lonely Planet and I bumped into other backpackers on Coral Bay, Perhentian who I’d met in other parts of the country. While it’s on the tourist trail, it’s still charmingly undeveloped. If you are arriving from Kuala Lumpur like me, the cheapest and most convenient way to get to the Perhentian Islands is to catch an overnight bus. Perdana Express and Mahligai Express operate daily buses on this route, which costs only 44.00 Ringgits and takes 7-8 hours. It’s best to buy a ticket a few days in advance. The bus departs from Terminal Bersepadu Selatan in KL and arrives at Kuala Besut bus terminal at 6am the next morning. It’s so early, you will probably be a half-asleep zombie like I was(! ), but don’t worry, the staff will guide you the short walk to Kuala Besut jetty to board a boat to the islands. Soon you will be seeing views like this. Arriving on Pulau Perhentian Kecil, the boat will dock at the small jetty on Coral Bay. To find where to stay on the Perhentian Islands, you can either look around here or walk the 7 minutes to the other side of the island to the busier Long Beach, which is just 500 metres away (told you it was a small island!). 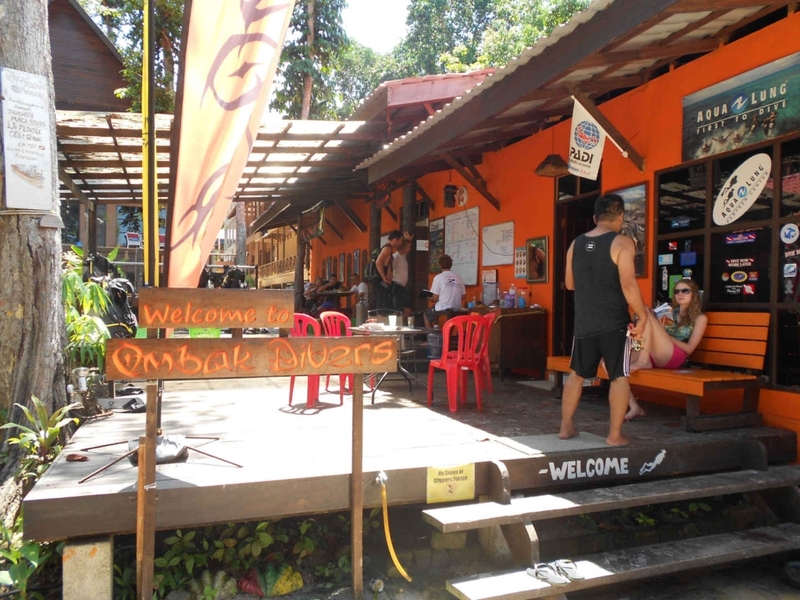 I was on a backpackers’ budget looking for affordable Perhentian islands accommodation, so with a friend I scouted many of the cheaper guest houses and hostels on Coral Bay and along the path over to Long Beach. After about an hour of viewing some cheap but sub-standard places, we settled on Fatimah Chalets, on Coral Bay beach, close to Ombak Dive Resort (more on this place later). A map to find Fatimah Chalets is here and their Facebook page is here. These wooden beachside bungalows aren’t glamorous and there were plenty of mosquitoes, but they are decent, well-located and the price is as low as 10 – 20 Ringgits per night, depending on how long you stay. The staff are friendly and welcoming and there’s also a small cafe, shop and laundry service on site. It’s a great option for backpackers. To browse and book more Perhentian Islands accommodation options online, try Booking.com at this link. This island is beautiful when the sun shines and it’s a delight to walk around. The fine white sand beams and the jungle interior and coconut palm trees become an even more gorgeous shade of green. 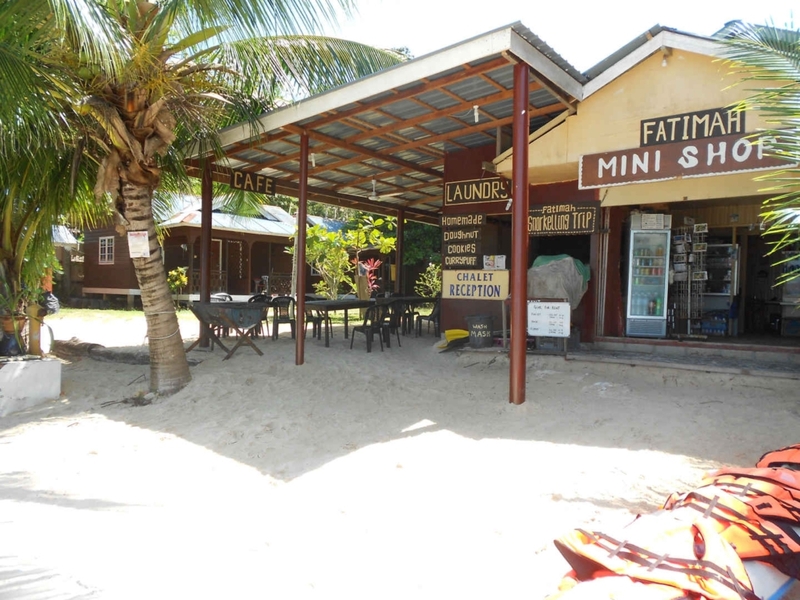 Coral Bay is dotted with small shacks offering freshly barbecued fish and seafood. 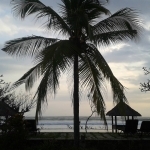 My favourite place to eat and hang out was the relaxed sea-view restaurant at Senja Bay Resort. Try their iced Milo drink: if you’re a chocolate lover, it will blow your mind! 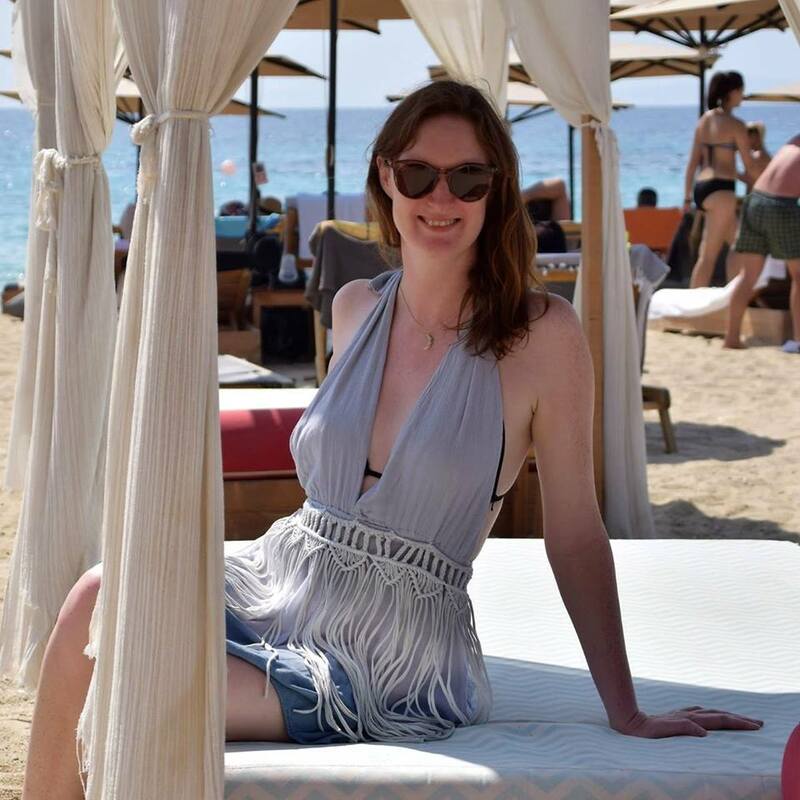 In the evenings, Long Beach is worth a visit as it’s larger and busier, with lively beach bars where you can dance into the early hours with the locals. 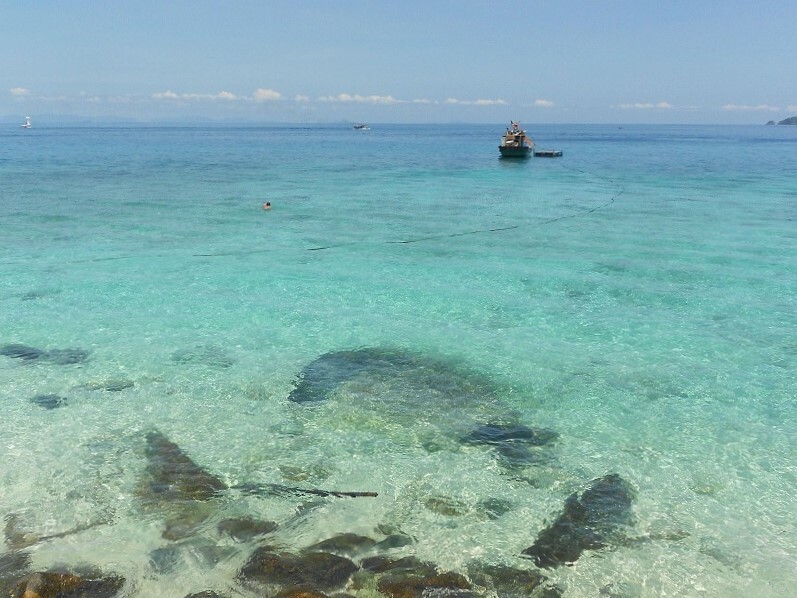 The vivid blue sea is so clean and clear on here that you can see the rocks through it, so snorkelling around the Perhentian islands is a rewarding activity. A simple adventure into the shallow waters reveals an abundance of coral, fish and other creatures underneath the waves. It was at Ombak Dive Resort that I learned to scuba dive, and what an awe-inspiring experience that was. Again, I scouted all the dive centres on Coral Bay and spoke with the staff to get a sense of their prices and their teaching style. At Ombak they are friendly and professional. I was nervous, but it was such a privilege to explore the ocean and share it with hawksbill turtles, green turtles, clown fish playing in anemones, huge schools of tiny fish, colourful coral reefs and much more. We were even lucky enough to see a black tip shark swim by at close range – though I think it was more scared than we were! Word is spreading about these islands. 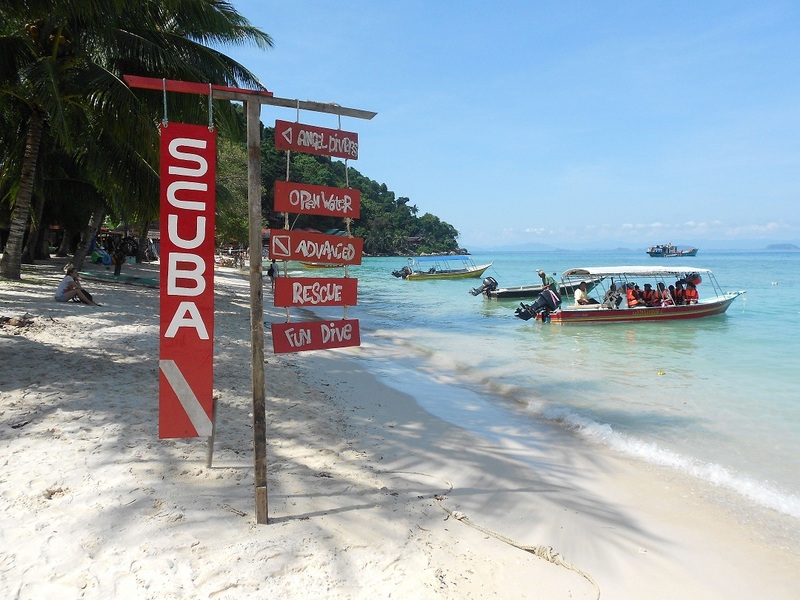 Certainly among Malaysia’s most attractive beaches, the Perhentian Islands accommodation and diving is affordable and it’s known as one of the region’s best dive spots. I can well see why. Next up, find out more on how to backpack Malaysia, with 5 of the best tips here. Wow! Wow! I meant to say: Wow!